Tomb of the mythical founder of Korea’s first state Kochosŏn, King Tangun. 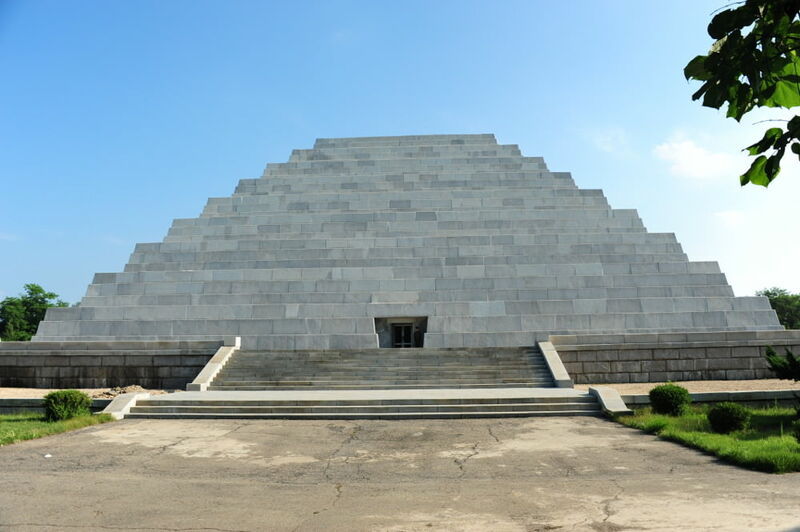 Features a grand stone ziggurat surrounded by monuments and with a series of statues lining the path to the entrance. Visitors can enter the tomb and see the bones of King Tangun. 5 euros to enter the tomb. 100 euros to view the bones of King Tangun. Can be paid in USD or Chinese yuan. On Tangun’s birthday a ceremony is held here. Inquire for more details. According to North Korean historians the site dates back to at least 3000 BC. 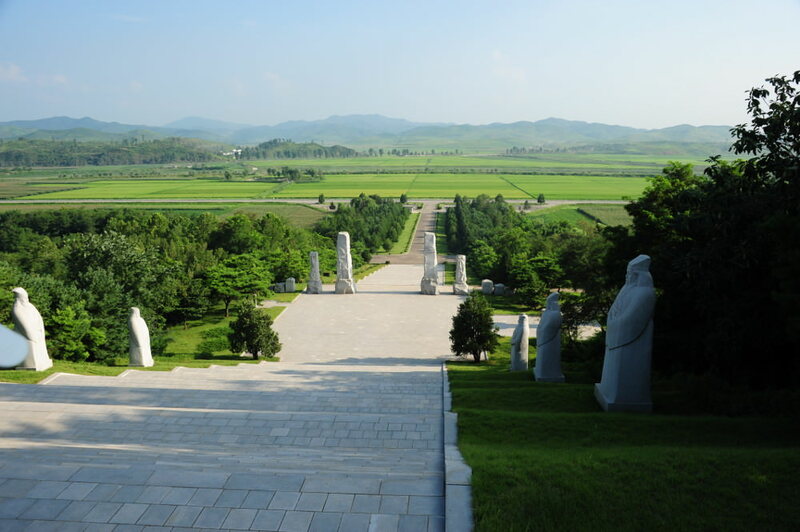 The tomb was rediscovered after Kim Il Sung gave a speech to North Korea’s archaeologists urging them to find it. The stone pyramid on top and surrounding statues were built in 1994. The pyramid and statues are not intended to be historically accurate. 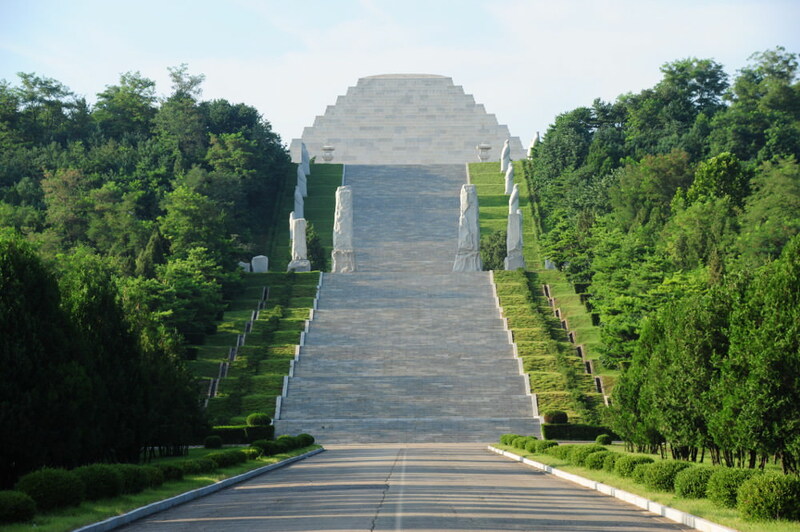 Rather, they are intended to make the tomb look like one befitting the status of King Tangun in Korean history. Outside of the DPRK, most historians regard King Tangun as a mythical figure. The myth of King Tangun is well known in both North and South Korea, and appears as early as the 13th century Samkungryusa (삼국류사; 三國遺事). In it, Tangun’s grandfather the “Lord of Heaven” Hwanin (환인/桓因), allows his son Hwanung (환웅/桓雄), to descend down from heaven. Hwanung had for long yearned to live on earth, and went down to Mount Paektu with 3,000 followers and knowledge of agriculture (embodied by the ministers of clouds, rain and wind who went with him), law, and medicine. There they founded Sinshi (신시; 神市), “City of the Gods”. A tiger and a bear (historians speculate that these may represent the totems of ancient tribes) approached Hwanung asking him to make them human. Hwanung instructed them to go into a cave and not come out for 100 days. In the cave they could eat only garlic and mugwort. They tiger could not handle it and left, but the bear preserved and emerged a beautiful woman. The woman, Ungnyo (熊女), prayed beneath a divine birch tree to bear a child. Hwanung, upon hearing these prayers was moved, and married the woman. 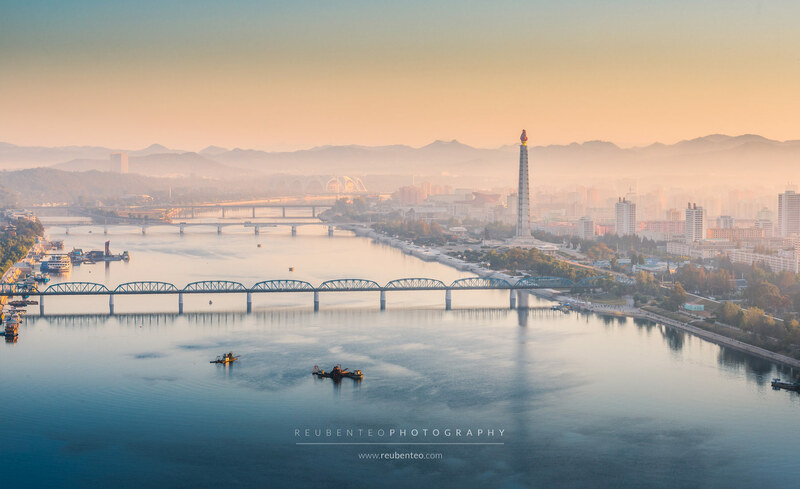 Tangun was born out of this marriage and is said to have moved to Asadal near Pyongyang to found his kingdom, which became Chosŏn (not to be confused with the Chosŏn dynasty of 1392–1897).